Russell is the head trainer at MaxNRG Personal Training and has been part of the health and fitness industry for over 10 years. As an Exercise Scientist / Fitness Consultant / Personal Trainer, he has always been committed to providing a comprehensive plan that enables anybody to reach the healthy lifestyle and fitness goals they desire. 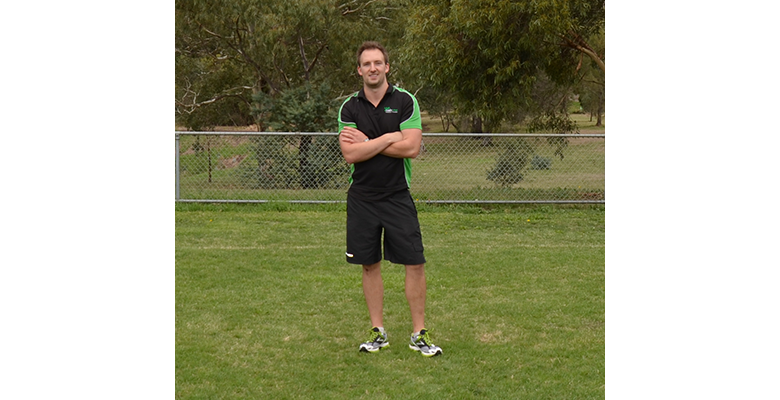 Russell is one of Melbourne’s top personal trainer with a large client base in Essendon, Keilor, Maribyrnong, Strathmore, Oak Park and the surrounding North Western Suburbs. If your looking for an expert in the health and fitness industry, Russell is one of the best. I have nothing against commercial gyms but I much prefer to be in an outdoor environment. Training at homes, local parks and workplaces away from a gym set-up is what I love most about my job. Hi I’m Russell the head trainer at MaxNRG Personal Training. I have always had an active life, with involvement in numerous sports and activities starting at a very young age. I graduated with a Bachelor of Exercise Science and Human Movement at Victoria University in 2008 and am extremely passionate about being the best personal trainer I can be. I place a strong emphasis on proper technique and education to not only prevent injury but to also maximise results for each and every client. I constantly aim at improving my education covering all aspects of human performance and have a genuine thirst for knowledge. I believe every session should be challenging and enjoyable whilst also still focusing on ultimately reaching the clients long term goals. I apply these principles to my sessions, designing programs and creating unique challenges to push clients to achieve their personal best. Below are a handful of the reviews from past and present clients of Russell Laurie. I have been training with Russell Laurie of MaxNRG for the past six years. My daughter originally introduced me to him and indeed she also still trains with Russell and I have not looked back. Russell is always very encouraging and has a vast knowledge of his profession. I would recommend MaxNRG and Russell in a heartbeat. MaxNRG Personal Training is really great. I was skinny but too unmotivated and shy to go to the gym. I had Russell Laurie as my personal trainer and now I noticed a positive change in my appearance. I am happy and now more confident with myself. I definitely recommend Russell and MaxNRG to anyone looking for great quality personal training. I’ve lost over 19kg now and am so close to cracking 20kg!!! I am so happy to go out shopping now and have loved buying a whole new wardrobe. Russ is such a great personal trainer, who knows how to get the best out of me. I honestly couldn’t be happier with my achievements so far. Fun runs, walks and bike rides are great motivation tool for people who are looking to lose weight or improve fitness with exercise. Best of all, you can do them with family and friends as a team to not only lose the extra weight but to help raise money for charities as well raise awareness of various illnesses and causes. Our team at MaxNRG Personal Training love to get involved with these Melbourne events and let as many people as we can know about all the upcoming events that are available. We have a put together a comprehensive list of charity events and fun runs that are on in Melbourne for 2015 but we would appreciate being told of any events that we are not aware of. If you know of an upcoming events that we don’t have listed please send an email to info@maxnrgpt.com.au. To keep up to date with all the Melbourne Fun Run and Charity Events, join our Facebook Page.